We were given the name "Sakshin" by Osho in 1989. The meaning of Sakshin is 'witness' which osho emphasises as the most essential part of meditation. 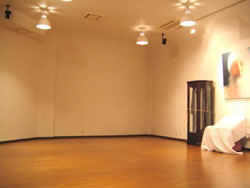 Location : Nishi-Ogikubo - 7 minutes walking distance from the exit of JR Nishi-Ogikubo Station. 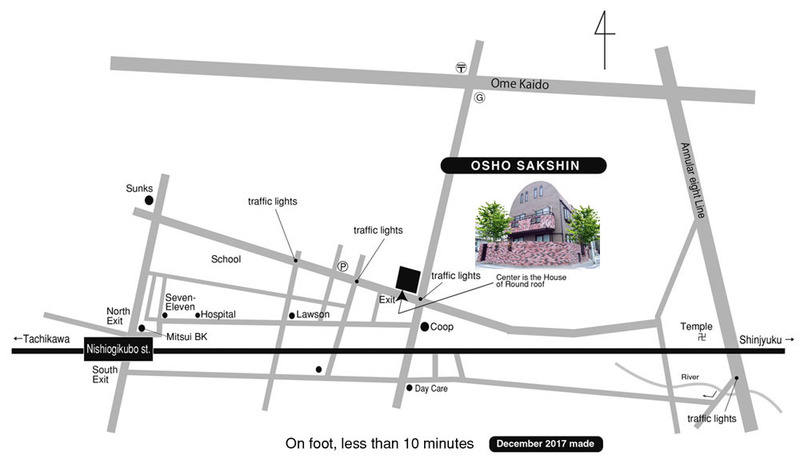 There is a meditation hall where Osho celebrations, groups, daily meditations, individual sessions, concerts and Osho's video discourses are frequently held by our sanyassins. You are most welcome to join any of these activities. We are doing White-Robe Brotherhood on Saturdays with a 100inch video projector. Also we are showing Osho's video discourses afterwards. 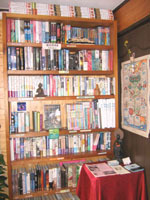 Osho Book Shop has been opened in the meditation center where one can purchase all of Osho's books that are available in Japan, in Japanese and English languages. Also videos, audio discourses, music or meditation cassette tapes or CDs, Osho Times (in Japanese), many kinds of Osho goods, photos, post-cards, maroon robes and White Robes are available at our book shop. 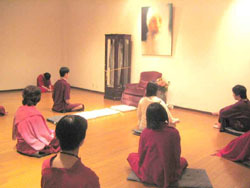 Meditation camps have been held since 1987. They could be called the basement, the root of Sakshin, from where many activities started sprouting and growing towards new horizons. First 4 years we arranged Meditation Camps in a Youth Hostel, on the beautiful Jogashima Island. After we felt we needed to have our own place for meditation and creativity for which, in 1992, we rented a house in the Shizouka area, near Mt. Fuji. Later it was given the name 'Osho Prem Pariwar'. Meditation Camps were held every month there. We served vegetarian food cooked by sanyassins. Sometimes there were Mala Celebrations for new sanyassins and people felt joy and ecstasy with showering Osho's blessings. But this was not sufficient for many people and therefore we purchased our own land, where we built a meditation hall and a house in 1994. The place was named "Osho Prem Commune", where nowadays monthly meditation camps are being held. 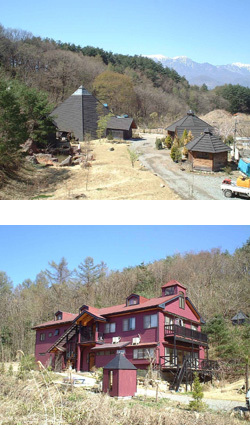 In 1994, we purchased land and gave the name OSHO PREM COMMUNE Meditation Center. By ourselves we have constructed a house and a pyramid shaped meditation hall (about 1/15th of the actual size of pyramids in Egypt). 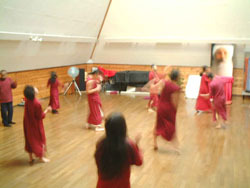 On national holidays many sanyassins from Tokyo visit and share their love trough creativity and meditation. We practise agriculture, by growing organic vegetables and also there is the Annapurna project where many kinds of fruit trees have been planted. In the commune we created space for groups, workshops and meditation. Anybody who has interests for exploring new dimensions of life through love, life and laughter, are most welcome. Contact Osho Sakshin Meditation center for more details about the Osho Prem Commune. n order to spread the message of Osho all over Japan, we started a publishing company named, Shimin Publishing company Ltd. Which has access within a network of 20000 Bookshops around Japan. We have acquired the complete video archive of Osho videos from OIF London comprising, consisting of about 1700 remastered videos. Anyone who has interests in distribution, please contact Osho Sakshin meditation center. 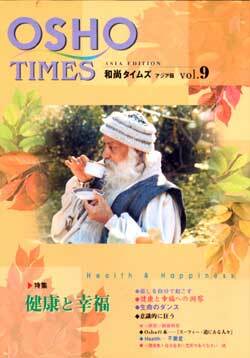 We publish Osho Times, Osho Darshan and Osho Books in Japanese and publishing work of many books are under progress.